West of Auderville lies a high hill. The Germans built a battery here. The six 15.5 cm K 416 (f) guns stood in open emplacements and in bunkertypes 679. 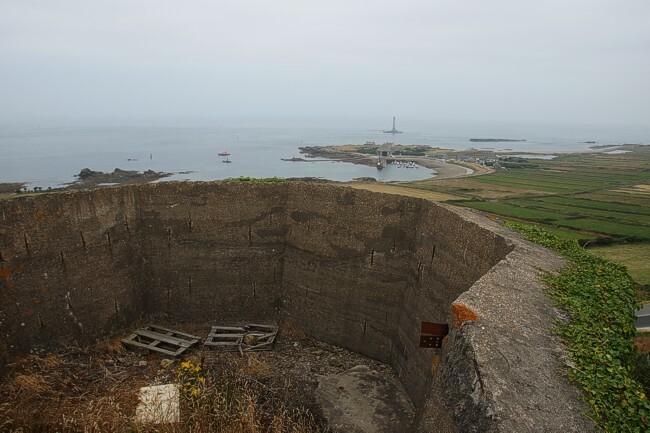 The name was Batterie Auderville Stahl with the designation Stp 351. The Freya emplacement offers a great view. On a clear day you can see the Channel Islands on the left.